One of the best things about Android is the ability to customize your phone to your liking. From changing the layout of icons to finding the perfect wallpaper to reflect your current mood, there's a wide range of tools to make your phone yours. One of the easiest ways is to transform your phone is to download a custom launcher. These apps completely replace your home screen and give you the tools to drastically change how everything looks and operates. 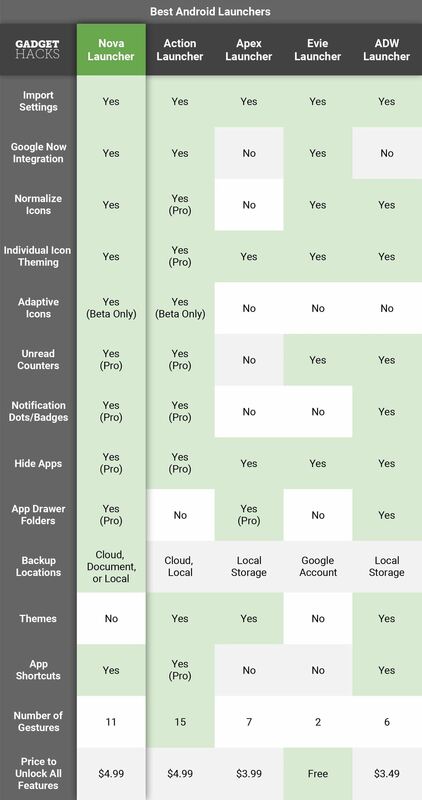 But with so many options on the Play Store, it can be overwhelming for you to choose which one. After testing many popular launchers, we determined that Nova, Apex, Evie, ADW, and Action are the five best launchers out there. We broke down some of the valuable tools provided by these apps and outlined what they do. Each launcher has its strengths and weakness, but after reading this, you'll be able to confidently choose a new home screen and make your phone look exactly as you want it. Based on user feedback and Play Store downloads, we narrowed our list down to these five launchers. We installed each launcher on various flagship and mid-range devices, thus enabling us to test the launchers on multiple versions of Android and see their impact on performance. To see the full capabilities of each app, we used the paid version when available. However, for our frugal viewers, we made sure to mention what features are missing from the free version. 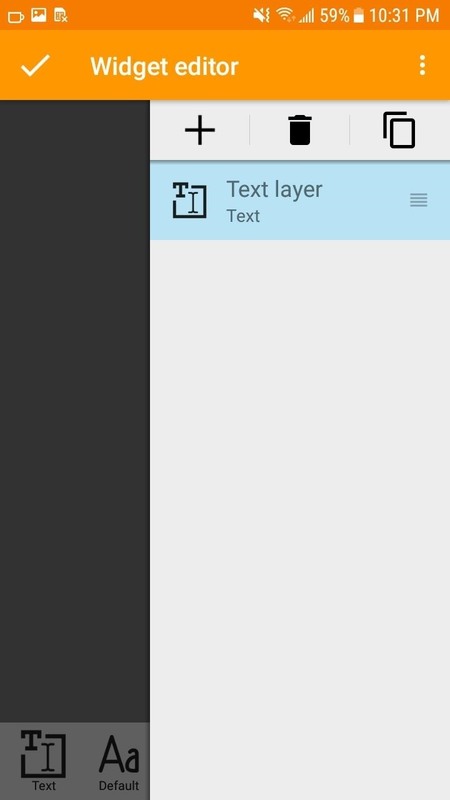 Import Settings: Does the launcher let you import the layout of your icons and widgets from another launcher? If so, it's easy to make the transition, plus you can quickly test different launchers without having to reconfigure your home screen. 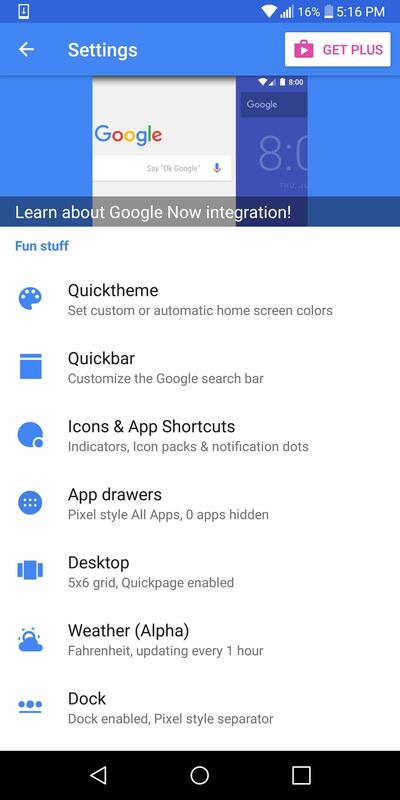 Google Now Integration: Some launchers have access to an integrated Google Now page, even without root. This is typically accessed by swiping right from the leftmost home screen, and it displays personalized information based on how you use your device. Traffic information for your commute to work, upcoming calendar events, and personalized news are just a few examples of the kind of information Google Now provides. Normalize Icons: If this feature is present, the launcher will adjust the size of icons based on the standards listed in Google's Material Design guidelines. The end result is a uniformed look, even if your icons have different shapes. Individual Icon Theming: This feature allows users to change icons individually instead of being forced to use all icons that are part of an icon pack. Adaptive Icons: Android 8.0 Oreo introduced a new system that lets launchers change the shape and size of your icons without needing an icon pack. 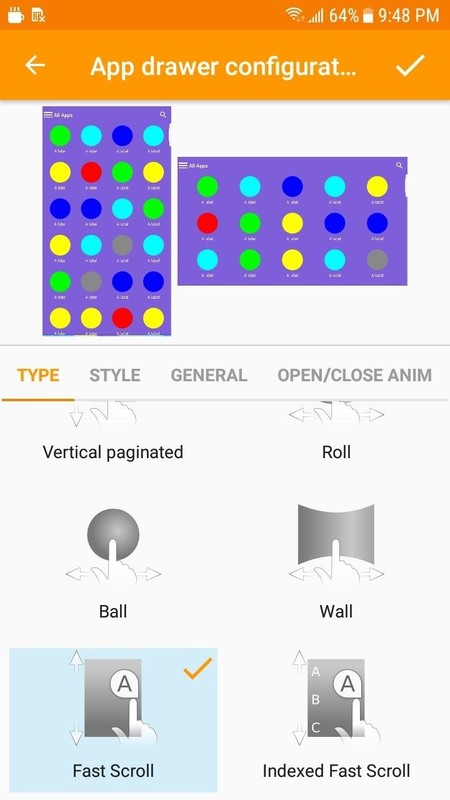 Using Adaptive Icons, you can make all of your icons into circles, squares, teardrops, and more. But if your phone won't be getting the Android Oreo update anytime soon, you'll be glad to know that some of these launchers have already brought this functionality to all devices running Lollipop or higher. Unread Counters: Icons can display (numerically) the number of unread notifications from each of your apps. When a number isn't applicable, a dot will show instead to indicate a notification from the app. Notification Dots/Badges: Introduced with Android Oreo, notification dots (or badges) are an alternative to the unread counter. Instead of a number, you see a dot or a small image on the icon (badge) when you have new notifications. Long-pressing an app with a dot or badge will reveal the notification in a sub-menu along with shortcuts (if the application supports it). 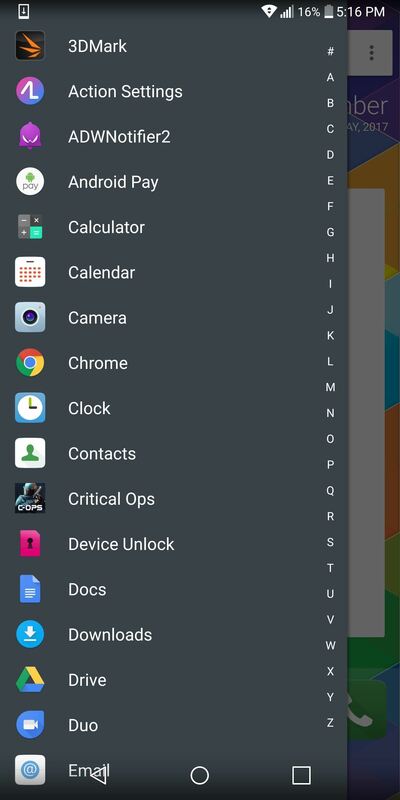 Hide Apps: If this feature is available, the launcher lets you hide applications from the app drawer and make them only visible by searching for them. App Drawer Folders: To help de-clutter your app drawer, some launchers let you create folders where you can place apps that fall into a similar category. 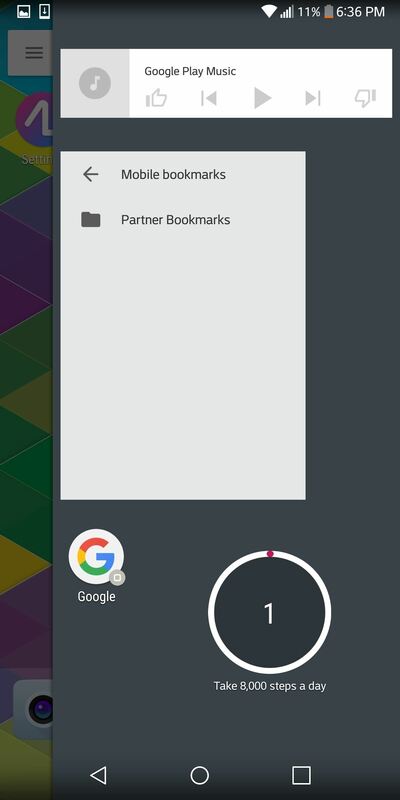 Other launchers even go so far as to let you create groups and tabs in your app drawer, so look out for details on that in the individual sections below. Backup Locations: Most launchers have the ability to back up all configured options locally on the device's internal storage or SD card. However, few allow backup to cloud storage, which is useful when changing phones. Themes: Themes let you customize the colors of various components of the launcher, including the launcher's settings menu, folders' background, the app drawer, the dock's background, and app shortcuts' background. App Shortcuts: Introduced with Android 7.1 Nougat, long-pressing an application shows a menu of common actions used with the application. For example, long-pressing Google Calendar will give you the option to create an event or reminder. With less than 13% of devices on Nougat, launchers allow many users access to this convenient feature on older devices. Price to Unlock All Features: Typically, home screen launchers hide more advanced features in a paid version of the app. 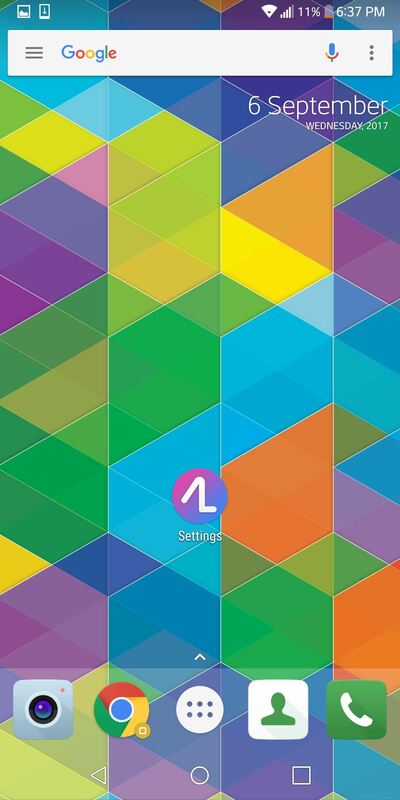 Nova Launcher is a highly customizable home screen launcher by TelsaCoil Software. For many, it is the go-to launcher for its extensive customization, speed, and quick implementation of new features. (1) Nova Launcher's app drawer. (2) Nova Launcher (Prime Beta) settings. One of the biggest selling points of Nova Launcher is the control it provides before having to pay. Compared to its top competitor Action Launcher, Nova gives you more control over your home screen before paying $4.99 for the paid version. With few exceptions, almost every feature is available. However, additional features can be accessed (for free) through their beta program. 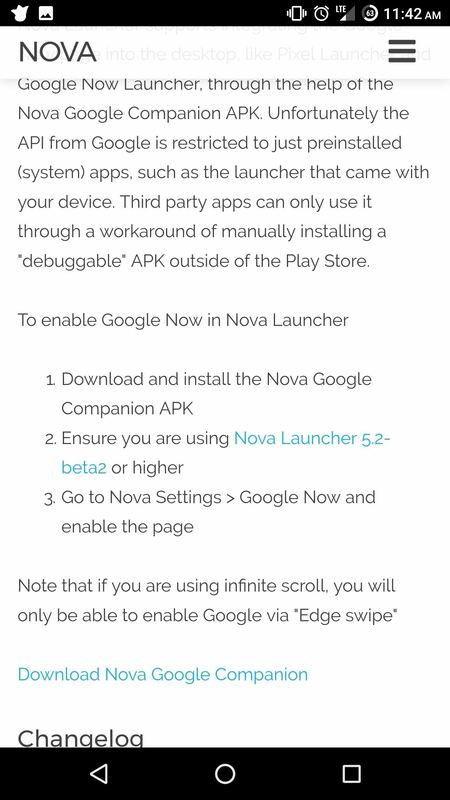 If you enroll in Nova's beta program, you'll get access to the latest features of Android. For instance, within days of the Android Nougat release, they implemented App Shortcuts. Nova Launcher was also one of the first launchers to add notification badges, and they were quick to add Adaptive Icons — both features exclusive to Pixel and Nexus devices at the time of their implementation. But if you're not a fan of beta software, you'll be glad to know that TeslaCoil is quick to move features from beta to the official app. As of this writing, both notification badges and app shortcuts are already included with the official, non-beta version of Nova Launcher. 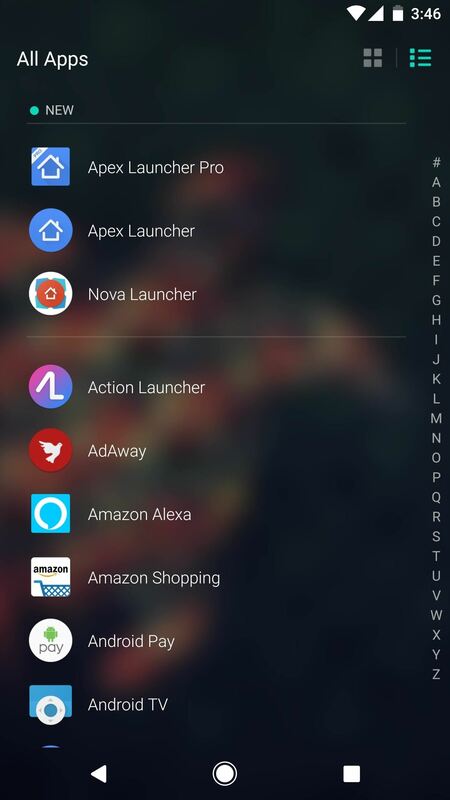 Out of all the launchers on this list, Nova Launcher was the first to integrate Google Now without requiring root or Magisk. To use Google Now, you just need the latest version of Nova Launcher and the Nova Google Companion app. Once installed, you can access the Google Now settings menu and enable the feature. 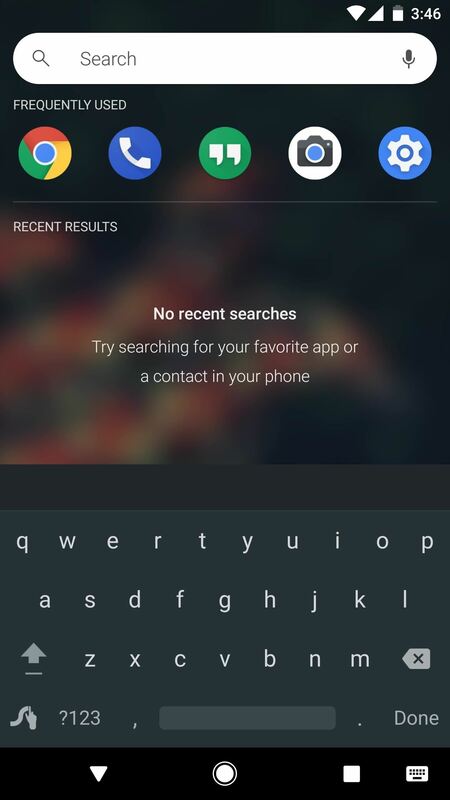 (1) Nova Google Companion App. (2) Google Now settings. Nova Launcher has a paid version known as Nova Launcher Prime which typically retails for $4.99, though it does go on sale quite often. With Prime, you get access to gestures which tie various physical actions to the opening of applications and shortcuts. Prime also provides the ability to create groups within the app drawer. Isolated by tabs, these groups allow better segmentation of apps and easier access. You are also able to open apps or shortcuts by swiping up or down on an application, and Nova Prime is one of the few launchers out there that let you create folders in your app drawer. 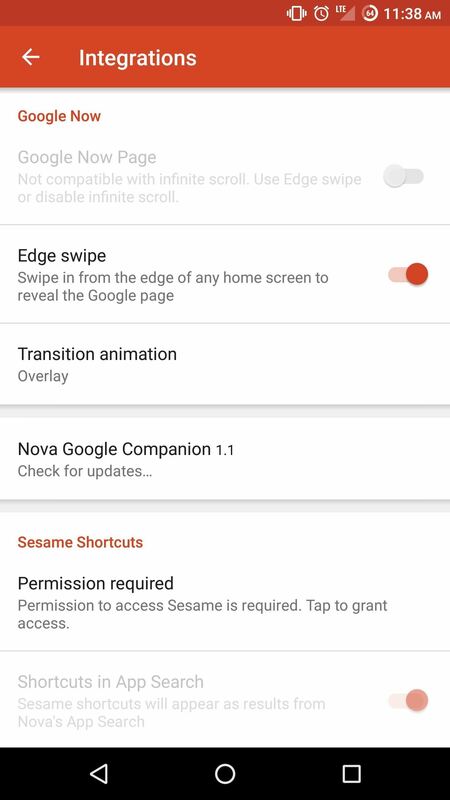 Recently, Nova Launcher implemented support for Sesame Shortcuts, a way to create deep links to actions within your favorite apps. For example, if you want to jump into your favorite Netflix show or Spotify playlist quickly, you can create a shortcut which is accessible by searching or by long pressing the application icon. It requires the latest version of Nova Launcher and strongly encourages you to pay $2.99 to use after a two-week trial period. You don't have to pay, but you'll continuously get a message inviting you to do so. Overall, Nova Launcher strikes a great balance between performance and functionality. It may lack a couple of minor niche features compared to others in this list, but it's loaded with customization options nonetheless, and its performance is absolutely top-notch. With the plethora of features in the free version, quick implementation of new features in its beta version, and overall smooth performance, we crown this the best launcher. 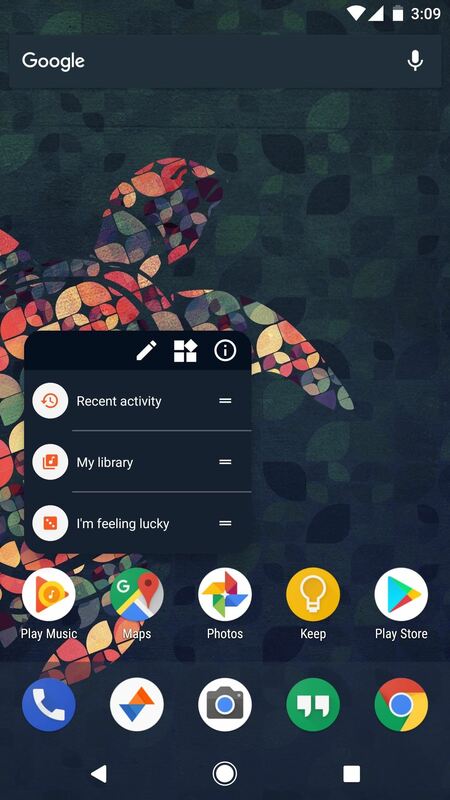 Action Launcher is jam-packed with customization options and features. Similar to Nova Launcher, it implements many new features from Android Oreo. However, unlike Nova, many of its features are exclusive to the paid version, thus limiting functionality for free users. Action Launcher's biggest selling point is its implementation of genuinely useful features that reduce time spent searching for apps and thus improving workflow. Many of the features reduce the clutter that can accumulate on the home screen and make it harder to find what we want. The QuickDrawer is great at this. 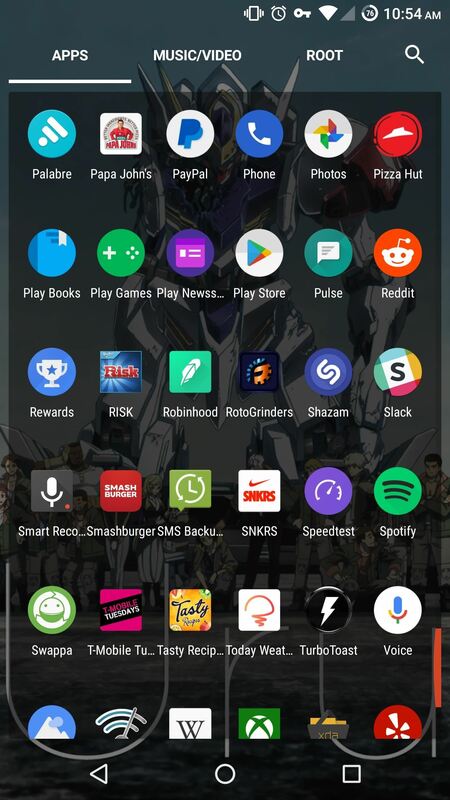 By swiping in from the left edge, you have access to a list of all your applications, organized how you want, from any page on your home screen. 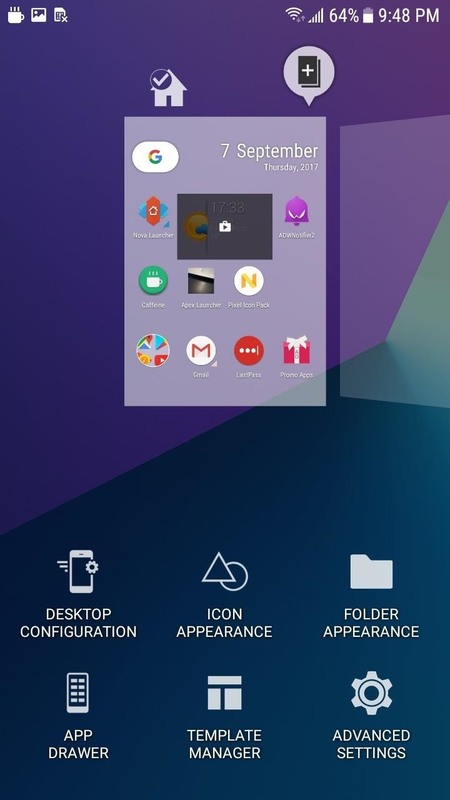 A swipe from the right from any home screen opens up QuickPage, which is an extra home screen where you can put icons and widgets for quick access (think OnePlus's Shelf). Another useful feature is Shutters, which allows you to swipe up or down on an icon to reveal its widget. A lot of widgets provide meaningful access to information, but you might not want to use home screen space to display it. By using Shutters instead, users can still have access to the widget without sacrificing home screen space. A smart feature found in Action Launcher is Covers, which is an alternative to folders. Instead of the traditional view of a folder which shows all of its contents, only one app (the first app the folder) is shown. By swiping up or double tapping (your choice) on that icon, it will reveal the entire contents of the folder. However, if you just tap on the icon, it opens the first app, acting as if it wasn't part of a folder. This helps offset the fact that Action doesn't allow you to create folders in your app drawer. A feature which simplifies the task of color coordination is QuickTheme. This feature automatically themes the search bar, folder backgrounds, app drawer background, QuickDrawer background, and more, based on your wallpaper. 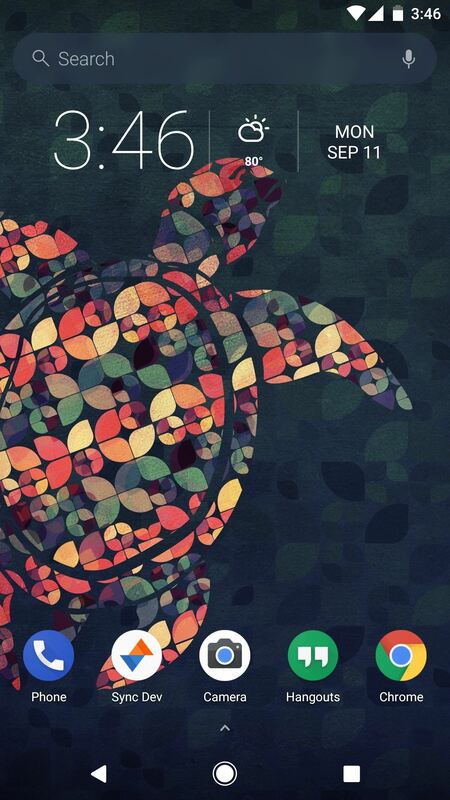 For those who frequently change wallpapers (or use apps like Muzei to switch wallpapers often), it saves a ton of time. 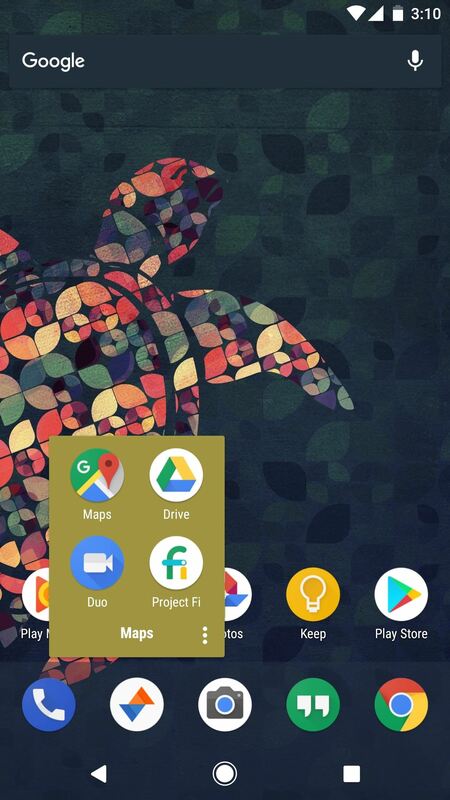 (1) Shutters (Play Music widget hidden in icon), (2) Covers (folder hidden in the Google Maps icon), (3) QuickTheme (search bar, dock, and App Shortcuts match wallpaper theme). However, many of Action Launcher's features are hidden behind a paywall. Notification dots, app shortcuts, shutters, individual icon theming, and unread counters are all features that require you to pay $4.99. Even Google Now integration (which is in beta) and a weather widget (which is in alpha) require you to pay for the Plus version. So if you decide to use Action Launcher, be prepared to pay — otherwise, you will be significantly limited in your customization. Finally, my only real gripe with this launcher is its slow performance when modifying the settings. Even on flagship devices with the latest version of Android, Action Launcher continues to have a delay when implementing any tweaks. Any modification to the settings will lead to a second or two delay and screen redraw. Although most launchers have occasional screen redraws due to not being a system app, this one was noticeably problematic regardless of hardware used, Android version, or RAM size. However, all other functions of the app (such as scrolling between home screens and menus) performed smoothly with no noticeable issues. Despite the screen redraw, Action Launcher is a great launcher with features that add real value to the end user. Action Launcher will improve your workflow if you use all its features. If Nova didn't offer so much more in the free version and Action didn't have consistent redraws, the two might have switched places on our list. Apex Launcher was once Nova's biggest competition in the KitKat days, but it has fallen off a bit in recent years. It has as many customization options as the first two on our list and is a smooth performer, but Apex's issue is what it doesn't have in comparison to the first two launchers — something to set it apart. Similar to Nova Launcher, the majority of the features are available for free without paying a single cent. The Pro version, which is $3.99, unlocks a few additional features, such as App Groups to let you create tabs in your app drawer, unread counters, widgets in the dock, and several useful gestures. When it comes to implementing cutting-edge Android features, Apex lags behind a bit. There is currently no support for Adaptive Icons, Unread Counters, Notification Dots, or App Shortcuts, so you'll need to look elsewhere if you want to try Android Oreo features right now. 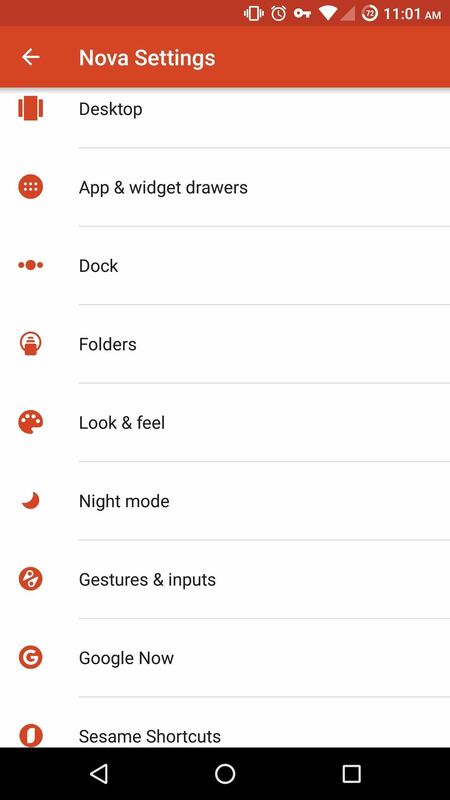 Back on the bright side, Apex has a theme manager to apply a uniform look throughout your home screen, and themes can be easily downloaded from the Play Store. Depending on the theme, you can change the icons, font, skin, and wallpaper. The Play Store currently has a decent amount of themes available, with the majority of them being free. Applying a theme in Apex. The problem is that Apex doesn't have any smart or unique features that help it stand out from the crowd. It offers too many customization options to compete with Evie Launcher in the "It Just Works" category (more on that later), but not enough to appeal to power users who want as many controls as possible. Google Now integration isn't available like it is with Nova and Action, the menu isn't as streamlined as Nova Launcher (although it isn't the worst on this list), and there aren't any additional features that improve workflow like Action Launcher. Apex is a good launcher — it just isn't a great launcher. If you have been using it for a while, continue to use it. However, if you want a better version of Apex, we recommend Nova or Action Launcher. Evie Launcher is a simple home screen app without many of the bells and whistles of the other launchers on this list. It is by far the easiest to customize with its intuitive design and simple controls. It is a launcher targeted at beginners who are intimidated by all the settings and controls of the others on this list. However, with such streamlined controls, there is little to tinker with as your skills and knowledge improve. One of the best features of Evie Launcher is that each customizable setting has a display that shows you what you are modifying in real time. This feature takes away any guesswork as to what you are doing. First time users of this home screen app will have an easy time navigating through each menu with little difficulty. Unlike the other launchers, Evie only lets you back up your layout to your Google Account. The advantage of this is that it allows for quick transfer of your design whenever you switch phones. Although having the option for local storage would have been nice, it provides the easiest solution for beginners. However, there are no more than eight options to choose from within each setting tab. This simplicity dramatically limits your ability to personalize your device. As such, it's missing key features such as normalized icons, Adaptive Icons, Notification Dots, App Shortcuts, and Google Now integration. In short, if you have any familiarity with customizing a home screen, this is not the launcher for you. One of Evie's biggest strengths is its UI design. Without needing to customize things, you'll get a polished look that matches your wallpaper thanks to a semi-transparent search bar. The launcher has borrowed some elements from iOS, as well: You can swipe down to search using a similar interface to Apple's Spotlight Search, and a bit of Gaussian blur has been applied to the app drawer's background by default. Evie is the only launcher on this list that doesn't have paid version, so even though there might not be a plethora of features, you're free to use all available options without paying a dime. This is supplemented by stellar performance, as we noticed that Evie ran flawlessly regardless of the hardware we tested it on. Evie Labs (the company behind Evie Launcher) seems to be addressing a different audience than the others on this list. By streamlining the controls, they are aiming for users who want to dip their toe in customizing their home screen without being overwhelmed by controls. So despite its limited appeal to advanced users, Evie's earns a solid number four spot on our list thanks to its ease of use. 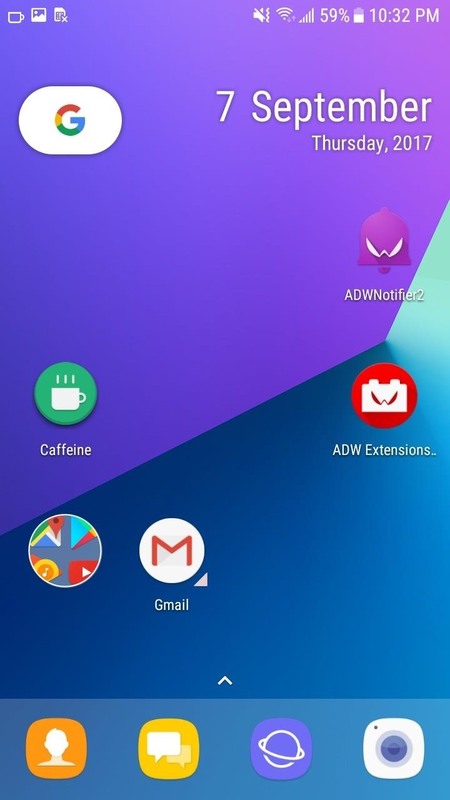 Finally, we get to ADW Launcher, which you may remember from being ranked alongside Launcher Pro as one of the most popular home screen apps in the Gingerbread days. That definitely makes it the oldest launcher in our list, but it's not the same app you downloaded in 2009, because ADW recently relaunched as ADW Launcher 2 with a complete overhaul in 2016. Although it is last on our list, this isn't a bad Android launcher. It arguably has the most features available, and its performance is buttery-smooth while rarely suffering from screen redraws. It has a theme option which allows you to download a good amount of themes from the Play Store. However, its biggest faults are a counter-intuitive menu and a lack of features in the free version. First, let's talk about ADW's strengths. ADW Launcher provides as much as Nova or Action. Each settings menu has multiple tabs that provide users the ability to modify everything. ADW is the only launcher on this list that allows you to adjust the size of the cells on the desktop, providing a more fine-tuned layout. The unread counter's shape, font, and color can be modified. 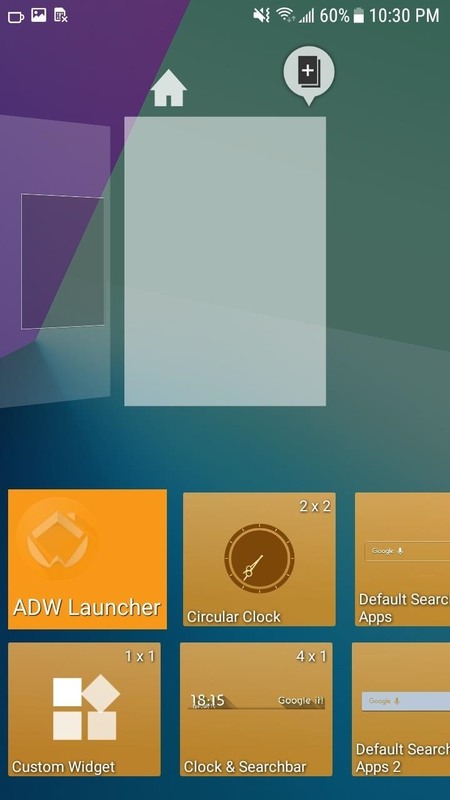 How the phone animates various tasks (such as the opening of folder and app drawer) are just a few examples of the level of controls for ADW Launcher. 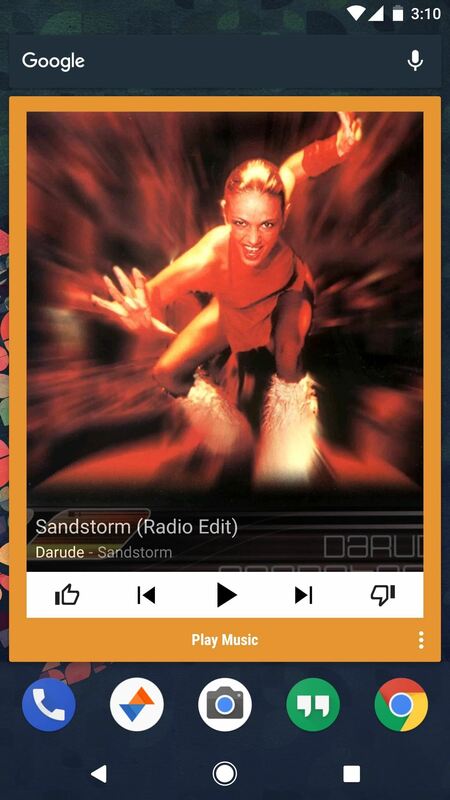 Unlike the other launchers, you can create custom widgets to fit your liking. Under the Widget tab, there is a custom widget that you can drag to the home screen. 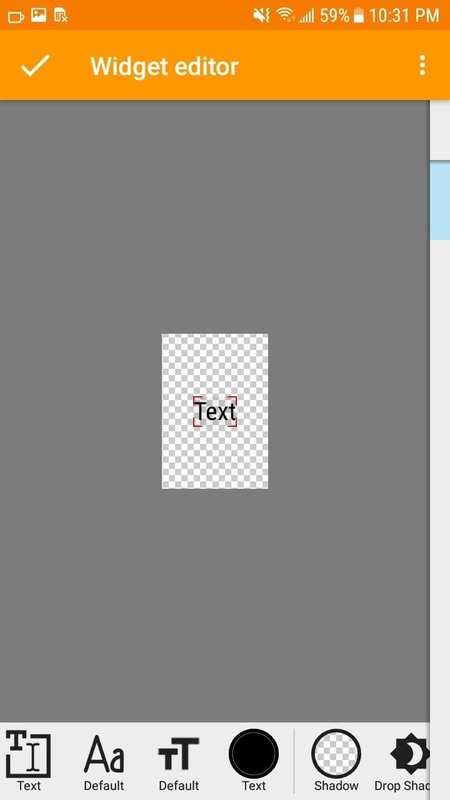 Once created, after long pressing the blank square, you can tap "Edit" to enter into the Widget editor. This lets you create various widgets tied to the plethora of data your phone already collects. Once completed, you can share it with the world — however, as complex as this feature is, it's just not made with the average Android user in mind, which is ADW's biggest problem. Creating a custom widget in ADW is a bit complicated. In theory, all this functionality should make it number one on our list — but in practice, ADW suffers from a complicated and counter-intuitive interface. When compared to the others on this list, it is downright confusing. The number of taps to get to what you want will intimidate all but the most advanced users. For example, to hide applications from your app drawer, you have to tap on the group to enter edit mode, then uncheck the app from the All apps category. Once unchecked, ADW will create a new category called "Uncategorized," which you then have to remove to hide those apps. Now compare that process to Nova where you just go to the "Hide apps" menu and select which app you want to hide, and you can see how convoluted ADW Launcher truly is. Another major downside is that the free version is insufficient. Many features are unnecessary blocked. Only a few transition options for the desktop, icon packs, and folders are available to free users. Even custom-made widgets are blocked to free users as well. But don't get me wrong, ADW Launcher is a great option when you compare it to many of the launchers that didn't make this list — it's just a clear step behind our top four. As you can see from our chart, it has almost everything you could want in a launcher. With the exception of Google Now integration and a low number of gestures, it matches all the other Android launchers on this list. However, the requirement to pay for features like widgets and transition animation combine with hard-to-follow menus forces it to the bottom of our list. You really couldn't go wrong choosing any of these apps as your new default home screen. Each will add plenty of functionality compared to the stock launcher that came with your phone. However, in my opinion, there's a clear winner and a clear-cut number two. Nova is the cream of the crop, Action Launcher is hot on its heels, then the rest of the field is a notch behind. With all of these customization options giving us the ability to continuously tinker, Android launchers reflect the best part of the Android platform: It gives you, the user, the ability to personalize your phone and make it perfectly match your current needs. We look at our phones hundreds of times a day, so we're bound to get bored with the aesthetics — but these launchers allow you to do something about it.